Due to the growing popularity of short-term rental sites in Australia, as many as 35,000 properties are being sublet by tenants throughout the country. While most guests who stay in short-term rentals are law-abiding and honest, unauthorised subletting could expose properties to a whole host of risks, including out-of-control parties, uninsured property damage, disorderly conduct, drug use, and other aberrations. While property owners, building and strata managers, and property managers could manually monitor the various short-term rental sites for unauthorised sublets, the process is both time-consuming and tedious. To address this pain point, BnbGuard recently launched the first service in Australia that monitors unauthorised subletting. According to site co-founder Reuben Schwarz, there is a strong need for such a service in the thriving real estate market. 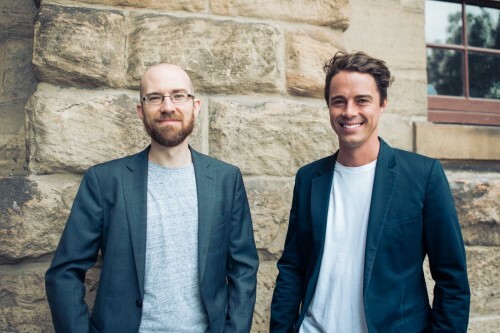 The idea for BnbGuard came to the duo when one of them listed their rental on Airbnb and realised how easy it was to do and how difficult it was for property owners to monitor unauthorised sublets. “The service just launched to the public this month following a successful soft-launch in November 2017, when we accepted a few clients to pilot the technology,” Schwarz said. “We currently monitor over 3,000 properties, mainly in Melbourne and Sydney, but we are growing fast and getting sign-ups by the day, which is really exciting. Schwarz added that BnbGuard was a major step up from manually monitoring listings on holiday rental platforms. “Checking it yourself is boring, takes a long time, and is hard to do accurately. We’ve tested this out for ourselves and it takes on average 210 minutes per week to monitor your property on short-term rental sites. When you multiply this for building and property managers who oversee hundreds of properties at a time, we free them up to work on other tasks for their customers,” he said. “We’ve also found that many short-term rental websites give false addresses and restrict the number of search results. This means that when searching for your property in a specific area quite often it won’t show up no matter how hard you look. The co-founders of BnbGuard: Reuben Schwarz (left) and Richard Frey (right). This should be the responsibility of the property manager to check, but can understand the need for a service like this as it takes forever just to check one property. I did it once and gave up.